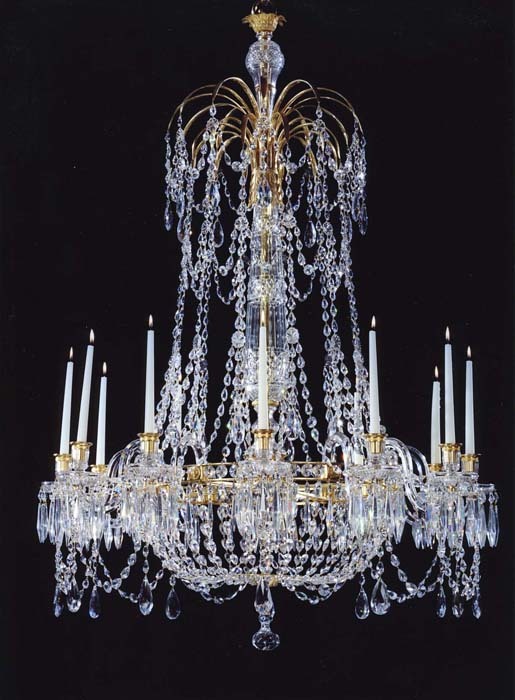 An important English early Regency period ormolu and cut-glass twelve-light chandelier, the central faceted shaft surmounted by two tiers of gilt fountain-sprays hung with drops, the circlet with two tiers of S-scroll branches with scalloped circular drip-pans and reeded nozzles, with dished base. 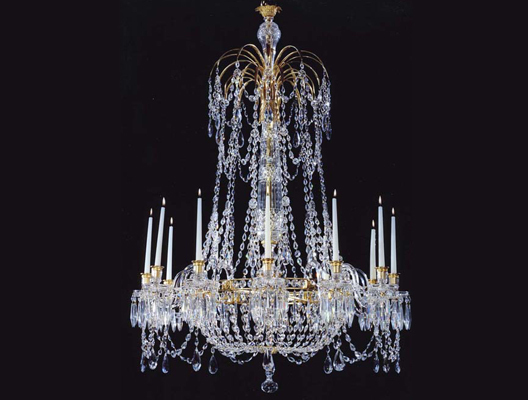 This chandelier is similar to the model that was in the collection of HRH the late Duke of Kent. Height 56in (142cm). 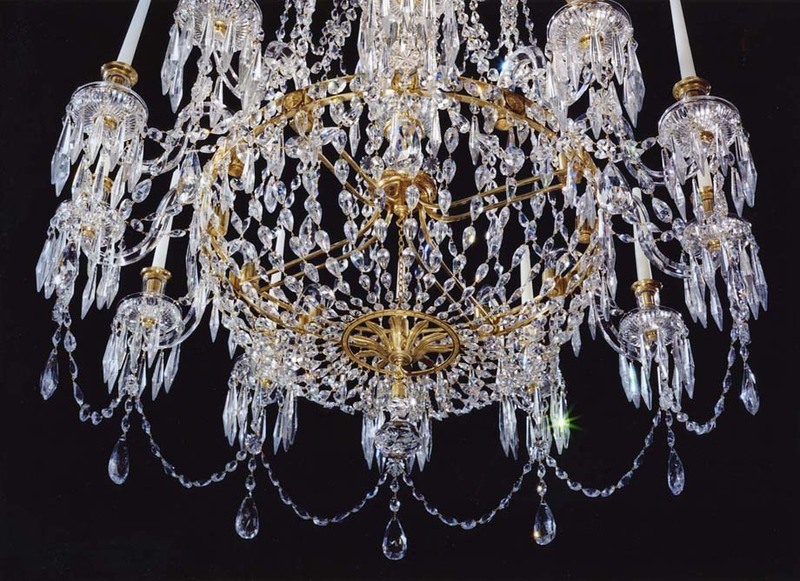 Diameter39 1/2in (1m).